Everything on this earth, all our possessions is subjected to loss and damage. If you want to be compensated for their damage and even, God forbid, loss of life of a person; insurance is the way. It is a kind of contract in which the insured, i.e. the person seeking insurance commits to pay a periodic amount for a certain amount of time in exchange for compensation for any kind of loss or damage according to the terms and conditions of the contract. The market is flooded with the insurance policies. In such a scenario, you need to have good knowledge of all the policies so as to make a wise decision of choosing a combination of insurances that provides you the best security. You can also consult Your Personal Financial Mentor about the type of insurance that is suitable for your case because he can give you a reasonable piece of advice based on your requirements. Typically, all insurances but Life Insurance are covered under general insurance. It covers insurance of property against damages caused by fire, flood or robbery; medical insurance against ailments or accidents and liability insurance that cover legal liabilities. In short, indemnifying anything except life of a being comes under general insurance. Let’s have a broad look at the types of insurances you can avail in the market. Let’s talk of Life Insurance first. The benefits of this policy are claimed by the nominees after the death of the insured. During his lifetime, an individual pays the monthly premium amount for a certain amount against which his family is given a financial coverage in case of any mishap. If you want insurance for your vehicle, you need auto insurance. Here you will be provided coverage against damage caused by some accident or mishap. You will have to pay regular installments of the premium amount for claiming the insurance in case of an accident. There are many insurers in the market, so to get the best quotes you need to make a comparison of various car insurances and then take the one that suits you the best. Health insurance is a health coverage policy. You can claim its benefits in case of an accident or medical treatment, if you sign the policy and pay the premium for a stipulated period of time. It provides coverage for medical expenses, such as doctor’s fee, hospital charges, cost of medicines and other related expenses. If you own a business, be it small or huge, you should purchase a business policy for your financial safety. Facing ups and downs in the business in a common thing; keeping this in view you should sign up for a business insurance policy that can provide best coverage for your business in case of mishaps. There are many business policies available in the market, the best selling one is BOP (Business Owners Policy). It is a perfect package offering property insurance, business interruption insurance and liability protection. This is the most popular insurance policy amongst all. It allows your losses to your home to be indemnified in case of any mishap. There are different policy plans available; you can opt for the one that best suits your needs. You can get information about these from the internet or the insurer. Remuneration you get depends upon the premium amount you had been paying. If an individual meets an accident or undergoes treatment for any illness, medical or health insurance provides coverage for the hospital and medical bills. God forbid what if the accident or illness renders him unable to work for his whole life. 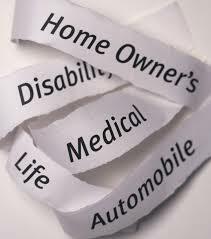 In such a situation, disability insurance plays a life saver role in that individual’s life. It offers two types of policies; Short Term Disability (STD) and Long Term Disability (LTD). In STD, indemnification is provided for maximum two years; whereas LTD promises to provide you benefits for the rest of your life. You can a policy that serves you the best, or you can also take more than one policy; but in that case you should make a thorough research on which combination will suit you the best. This post is very informative and simple, thank you. However, there are also other forms of insurance which are not as common as the ones mentioned above. A good example is political risk insurance or is it classified as one of the ones you mentioned above?